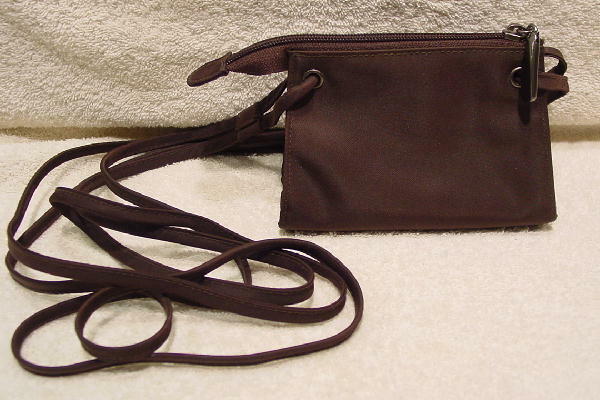 This little brown fabric purse has a double 52" long fabric matching shoulder strap. It has a top side to side zippered opening and a black fabric lining. She wore it when she went clubbing, slung across her body.